Geneva (ICRC-IFRC) – Seventy-four years after nuclear weapons obliterated the Japanese cities of Hiroshima and Nagasaki, the risk that nuclear weapons will again be used is growing. Far from taking steps to fulfil their long-standing nuclear disarmament obligations, nuclear-armed States are today upgrading their arsenals, developing new kinds of nuclear weapons and making them easier to use. And military incidents involving nuclear and nuclear-allied States are occurring with alarming frequency. The International Committee of the Red Cross (ICRC) is deeply concerned about a worrying erosion of the nuclear disarmament and arms control framework. Recent decisions contribute to a worrying trend toward a new nuclear arms race and, consequently, an increased risk of nuclear weapons use. The ICRC calls on concerned States and those in a position to influence them to reverse this distressing trend. To stem the rising tide of nuclear risks in world politics, the ICRC, the International Federation of Red Cross and Red Crescent Societies (IFRC) and the wider International Red Cross and Red Crescent Movement are today launching a global campaign. The video campaign aims to draw further attention of the public to the catastrophic humanitarian consequences of a nuclear war, and ultimately encourage people to urge their governments to sign and ratify the Treaty on the Prohibition of Nuclear Weapons. “Any risk of nuclear weapons use is unacceptable. The Treaty represents a beacon of hope and an essential measure to reduce the risk of a nuclear catastrophe,” said ICRC President Peter Maurer. Seventy countries have so far signed the TPNW, while 21 have ratified or otherwise acceded to the Treaty. “In many countries, Red Cross and Red Crescent National Societies are working with governments, national parliaments and civil society to facilitate rapid accession to the Treaty. We will continue working with our network to advocate for a world without nuclear weapons. Nothing could prepare the world for the horrors of a nuclear war. After 74 years, we still haven’t learnt the lesson of suffering, devastation and death of Hiroshima and Nagasaki,” said IFRC President Francesco Rocca. “Citizens, parliaments and civil society all have a crucial role to play in efforts to reduce the risk of nuclear weapons use. At this moment of growing international tension, I call on everyone to act with urgency and determination to bring the era of nuclear weapons to an end,” said Mr. Maurer. Nuclear weapons are the most devastating and destructive weapons ever invented. The Japanese Red Cross and the ICRC witnessed this first-hand in Hiroshima and Nagasaki in 1945, as they tried to bring relief to the dying and injured. The nuclear blasts killed tens of thousands of people, destroying medical facilities, and leaving behind appalling conditions for survivors. 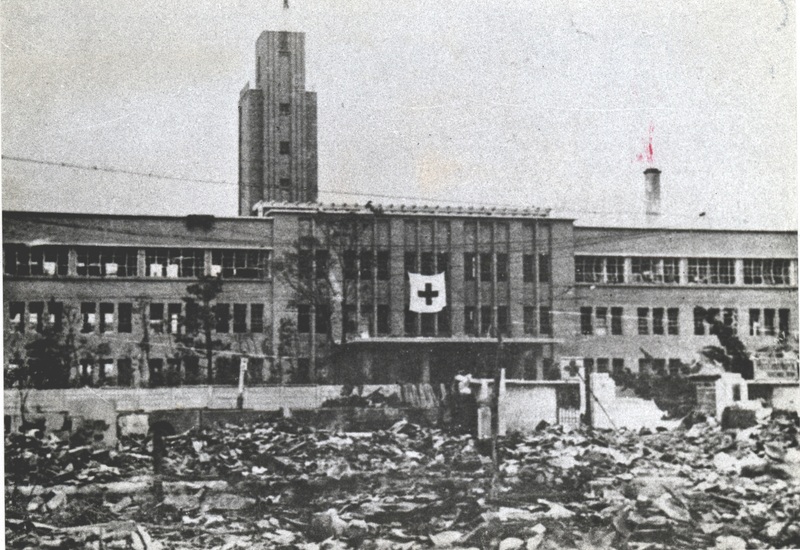 To this day, Japanese Red Cross hospitals continue to treat victims of cancer, including leukemia, attributable to radiation from the 1945 atomic blasts. The well-documented evidence of the catastrophic humanitarian consequences of nuclear weapons casts significant doubt on whether these weapons could ever be used in accordance with international humanitarian law. On this basis, the International Red Cross and Red Crescent Movement have consistently called for nuclear weapons never to be used again and for their complete prohibition and elimination.